First of all, thank you for visiting the Glassflower website and taking the time to read About Us. 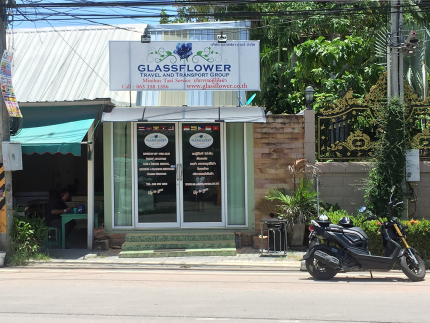 Glassflower is a family owned and operated business located in Pattaya, the heart and soul of South East Thailand. We are dedicated to make all our customers come first, only before our employees. There is always much competition and we believe the foundation of our company's ongoing success is in our superior customer service, and the driving force behind Glassflower is our fully committed staff. Loyal to the bone as is said, or hit the road. Up to You. We hold to high standards at Glassflower, we strive to be the best new travel and transport company in Thailand while at the same time keeping our ethical and safety standards at the highest possible levels. 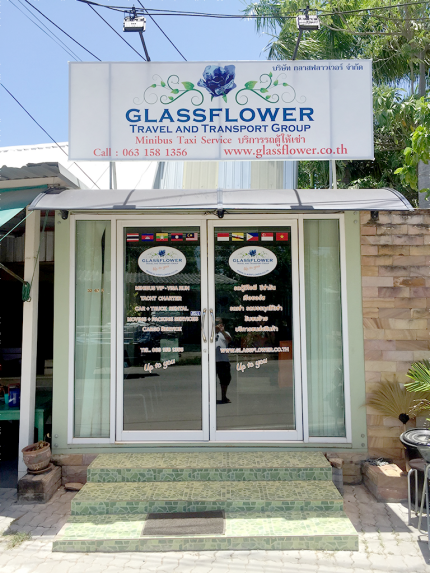 Glassflower offers passengers the most comfortable, safest and quickest minibus travel from Pattaya across Thailand and ASEAN. VIP Airport pick-up BKK also available. VIP Visa Runs! Special events not a problem. 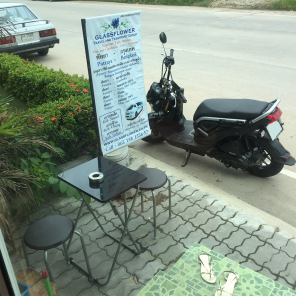 Avoid having to depend on the discomforts that come with a public taxi or coach bus service, or taking the risk of having to drive yourself around the hectic traffic in Thailand. Our multilingual drivers are seasoned professionals whose sole function is to get you to where you want to be, efficiently and safely. 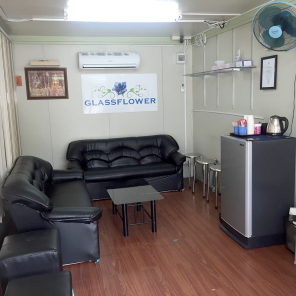 Glassflower has partner offices and passenger pick-up stations including freight forwarding services in Pattaya, Bangkok and Ban Laem (near Cambodian border). Private security service also available on demand. Glassflower offers small cargo delivery and soon to come, local VIP site seeing tours to some of the best sites and destinations in Thailand. Glassflower offers yacht charter in Pattaya, based out of Ocean Marina. We are honored to co-operate with some prestige partners in yachting business. Glassflower also offers private jet charter service on demand at Utapao airport.